Custom Entry door made with Black Cherry Skins and a Cedar core. 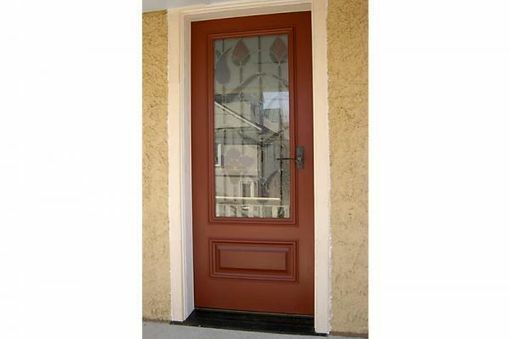 Exterior finished with milk paint and tung oil, interior with oil and wax. 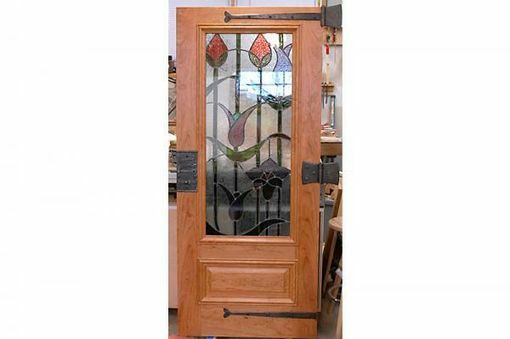 Custom stained glass and hardware supplied by other local artisans.